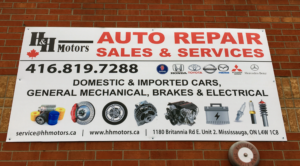 The sign is up and H & H Motors is getting settled in our new location. 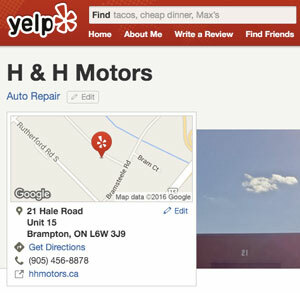 The new space is larger and has much more parking available for customers. 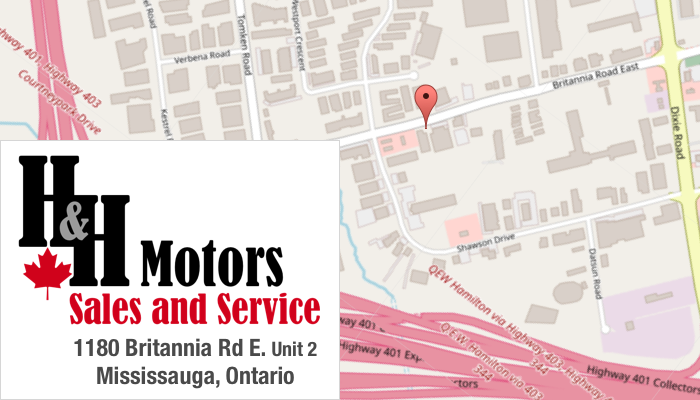 We operate under the same roof with Ontario Tire Depot. 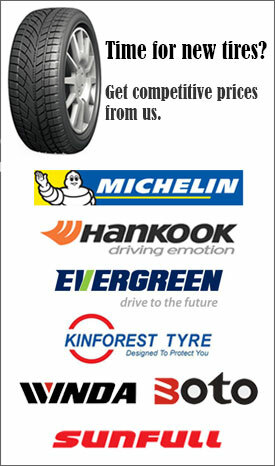 That means great tire service and prices on tires for you. Wifi is available in the reception area while you wait. 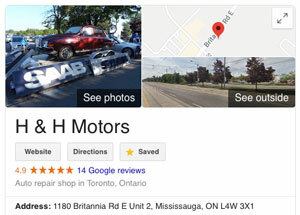 For longer repairs, we’re happy to drop you off at a nearby Subway or GO Station. by the airport, northwest of 401 and Dixie Rd. Click/Tap the map above for directions. Sunday : By appointment only or if Emergency service required.